The FCS Preschool provides Bible instruction, learning and activities in a Christian environment designed to meet the needs of the preschool children. We partner with parents to teach preschoolers of Jesus' love, building relationships, and give them an enthusiasm for learning. We strive to build a strong foundation both Biblically and educationally and equip them with lifelong skills that will help them grow in these areas. Our students are taught beginning phonics, math readiness, and pre-writing skills. Letters and sounds, colors, shapes, and numbers are introduced to make learning fun and enjoyable. We use a variety of approaches through special activities including games, songs, dramatic play and our daily special area classes such as Music, Art, Library, PE, and manipulative centers. Students learn to expand their world as they become part of the FCS community. 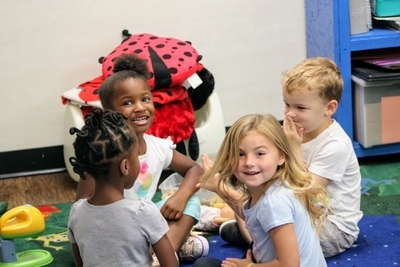 Our preschoolers also grow socially through interaction with classmates, learning to share, learning to listen, and accepting and responding to the teacher’s authority.